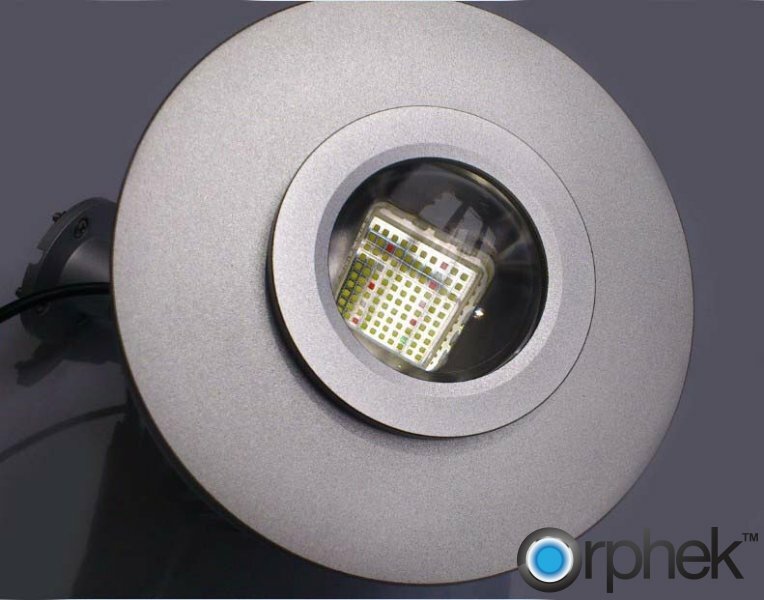 Orphek is pleased to announce their soon to be released, new and much improved DIF 100 LED Pendant, Version 4. The major changes are a new swivel ball locking type mount which allows the DIF 100 to be aimed in any direction required and can be wall mounted or mounted to a hanging track. The entire housing is made of lightweight aluminum which is impervious to the salt water environment. The hanging hardware is constructed of stainless steel. The DIF 100 V4 is smaller than the original DIF 100 and weighs less. Version 4 reduces heat by 15C and is now equipped with a quick release connector that allows a quick change of the Orphek multi-chip LED should it become necessary. The new version 4 also has increased protection from water by using high grade silicone seals. 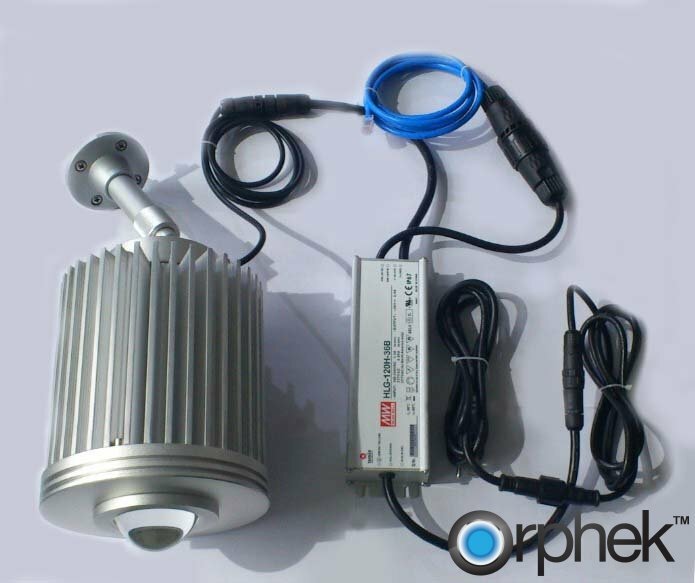 The renowned state of the art Meanwell LED driver is now remotely located and is connected by a quick disconnect waterproof connector. The lens is of high grade optical quality and larger in size, to provide a greater dispersion of light. Version 4 will offer four different lenses that can tailor the DIF 100 for any application including very deep aquariums. The DIF 100 V4 will provide more PAR per watt than any other pendant that is now available. The DIF 100 V4 can be used in a variety of applications including deep reef tanks, coral display tanks, and coral frag tanks. Your Orphek sales advisor will recommend the best lens for your application. 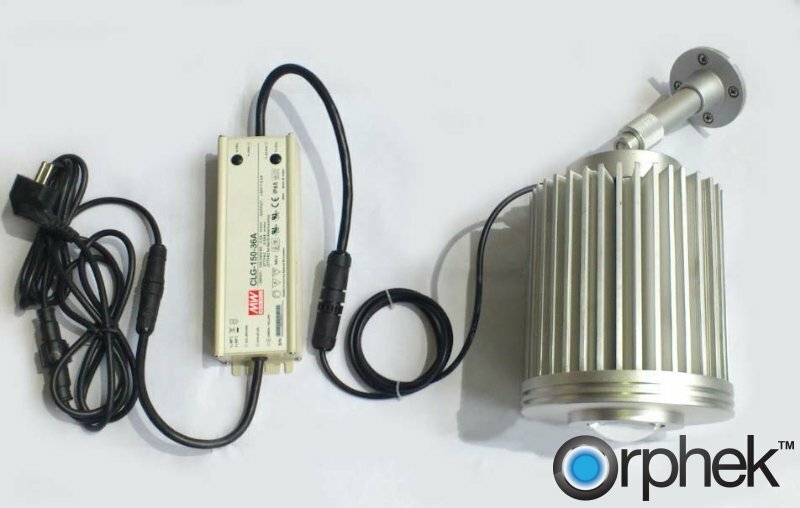 The DIF 100 V4 Multichip has been in development for over three years during this time we have improved the spectrum, lumens per watt, and LED color ratio. The DIF 100 V4 can be customized for any application with spectrum ranges from 10K to 25K. Aside from reef tank applications, this customization can be for planted freshwater tanks, macroalgae culture labs or any type of science research facility requiring a specific spectrum. More information on moonlight and actinic ratios and color charts will follow soon in our DIF 100 V4 product page.